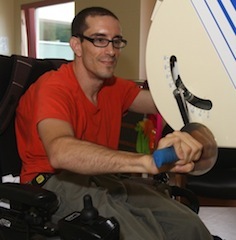 Why Participate in Accessible Recreation? Physical activity in general provides opportunities for social interaction which can largely benefit people’s mental health as well as their willingness to get involved in certain activities. Physical activity is associated with a reduced risk of chronic condition development, as well as an increase in self-efficacy which can lead to further participation in physical activity. Your city may offer more accessible resources than you know about! Accessible recreation refers to opportunities that are meant for people of all different ages and disabilities. Accessible recreation supports both structured (e.g. sports team) and unstructured (e.g. going on a family walk) physical activity. Stay Warm and Indoors with Adapted Winter Sports! 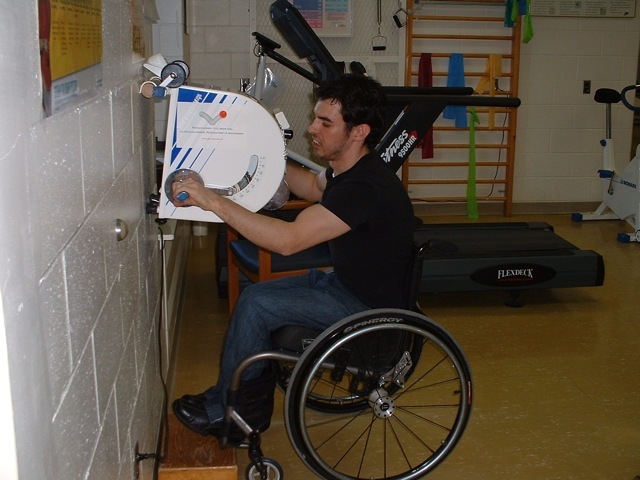 Get In Motion is a free, telephone-based physical activity counselling service for Canadian adults with spinal cord injury, multiple sclerosis, and cerebral palsy. All clients are provided with evidence-based resources to help them on their way to a more active lifestyle. Trained and supportive peer counsellors will work with you to meet your physical activity goals. Enroll today! It’s free! Below are the Physical Activity Guidelines for special populations. You can also visit our pages dedicated to people with Spinal Cord Injuries, Multiple Sclerosis, or Parkinson’s Disease for more information on getting active. Guidelines for kids, youth and adults can be found by clicking on their respective links. Ideas to Get More Active! To help plan and track your physical activity, click the link below to download a printable Monthly Activity Tracker. For more places to become active in Kingston click on the “places” tab at the top of the screen. Find out more about the City of Kingston’s Fee Assisted Recreation Programs and Transit Pass. Look Who’s Talking About Physical Activity! To see what others enjoy about accessible recreation click on the link to view the Testimonial Page. Where You Can Get Active! Kingston and it’s community offers a vast range of accessible physical activity opportunities. Listed below are a number of options for individuals to get involved in physical activity independently or to become a member of a team.